Dave Sibbald’s twin brother – Darrin Roll – was born some 38 years after Dave. 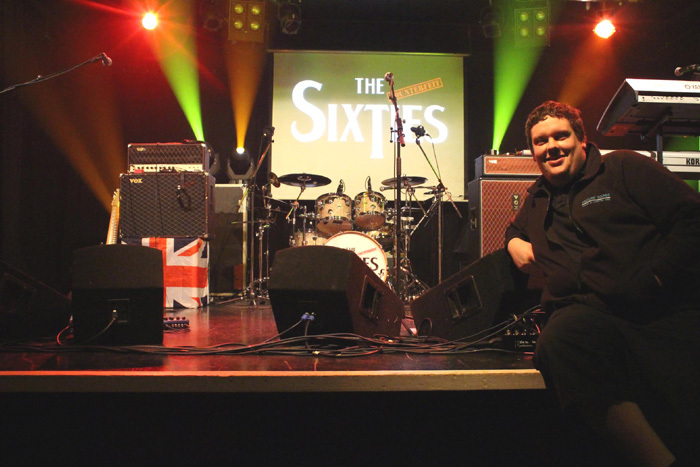 In addition to his job with The Counterfeit Sixties, he also works for a North East theatres and venues. As well as this Darrin runs his own company - Dazzling Sounds – where he hire large scale sound systems and full lighting rigs, he also does some DJing (apparently there is such a word) in packed pubs and Clubs around Newcastle. Acts he has worked for include: Billy Ocean, PP Arnold, Tinie Tempah, Mark Owen (Take That), Nicko McBrain (Iron Maiden), Funeral For a Friend, Cover Drive, Little Mix, Wheatus, Royal Blood, Lucy Spraggan, Route 94, The Beat, The Dammed, Buzzcocks and Coronation Street’s Craig Charles (Funk and Soul Show).